I've had a few tanks lying around and have not been painting very much lately. 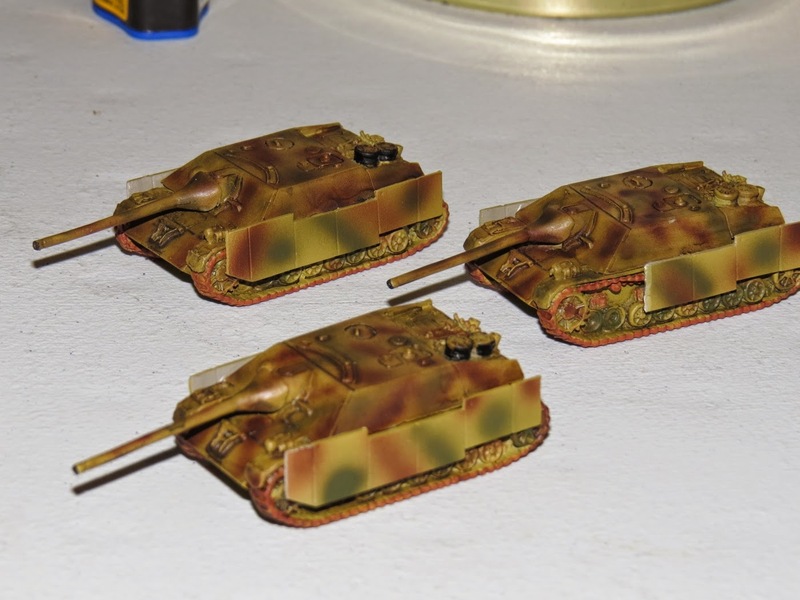 I decided to break out the airbrush and some Pzr IV/70 tank destroyers that came in one of my German army boxes. We'll look at the tank and how it's represented in FoW. The Panzer IV Sd. Kfz. 162 is a tank destroyer developed on a Panzer IV chassis. 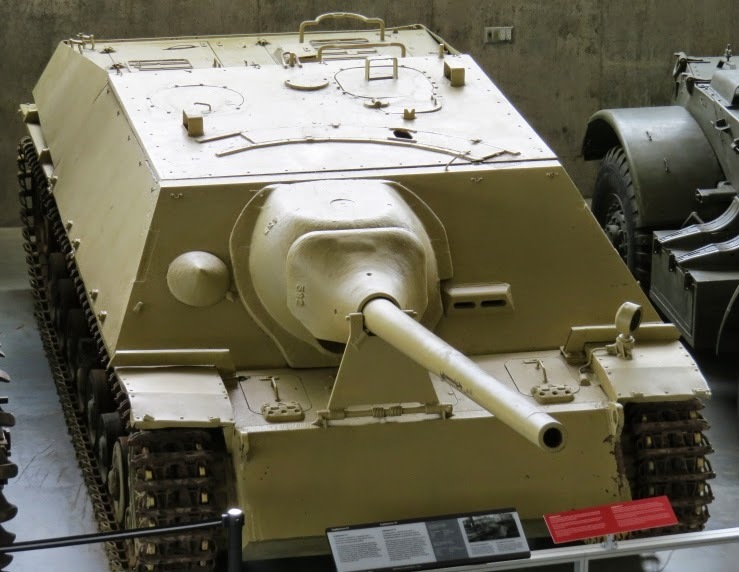 It also goes by the name Jagdpanzer, which is 'hunting-tank' when translated from German. Weighing in at a little over 25 tons, this tank was first outfitted with a PAK 39 L/48 gun. Later, the bigger PAK 42 L/70 gun became the standard and more of this variant of Pzr. IV/70 were built than any other. 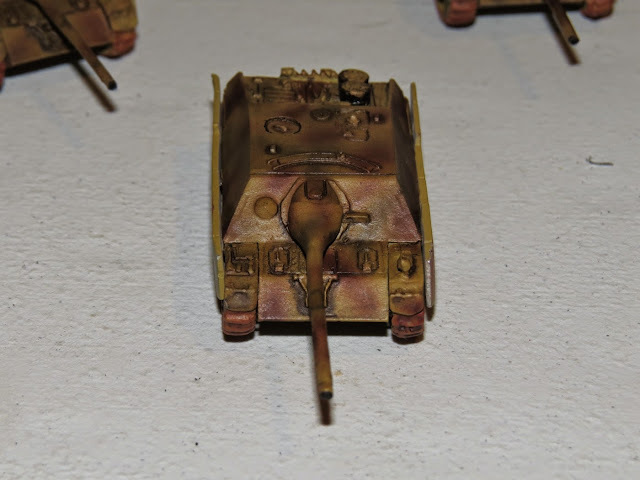 These have been based, airbrushed with a rusty brown and a German Tank Green color using the Valejo AIR line of paints in my Grex airbrush. I've just got to detail them and give them a quick drybrush with a light grey or tan. I also used a darker wash than I normally would, but it really turns out once they have been drybrushed. There is a variant you can use which is one extra front armor. All variants are overloaded, have a MG and Schurzen of course. Late war lists have a few more points and I would consider running a platoon over these over my traditional choice to take Marders for example. Sloped armor, a low profile and no turret make this a great tank for moving behind low walls, fields and any tree lines you can sneak this tank into. The list I am looking at for an upcoming tournament a small platoon of three costs 405 points. When compared with a Panther G, the same platoon would cost over 500 points. AT 14 is nothing to shy away from and using these in their proper role, can be relatively nasty on the table. Having the airbrush out, gave me an excuse to re-paint one of the first German tanks I put together three years ago. 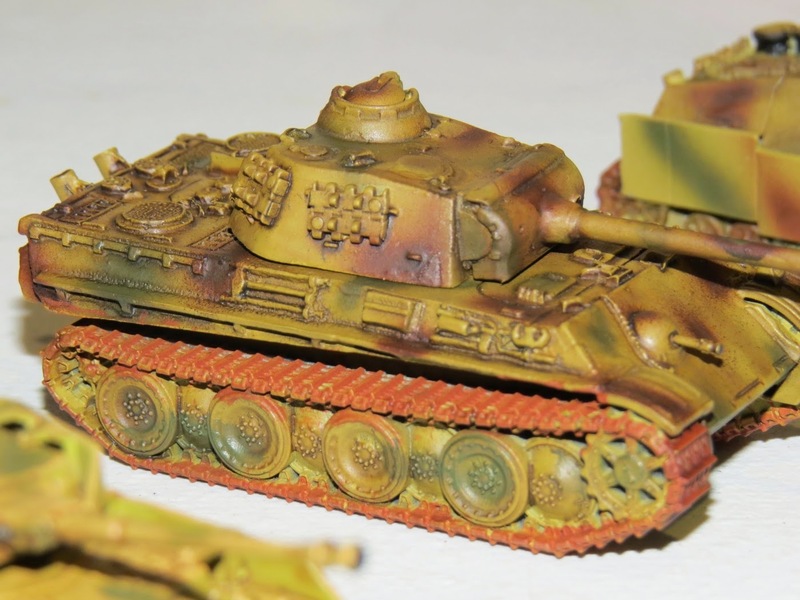 This Panzer IV platoon are Plastic Soldier Company and were a huge pain to put together. 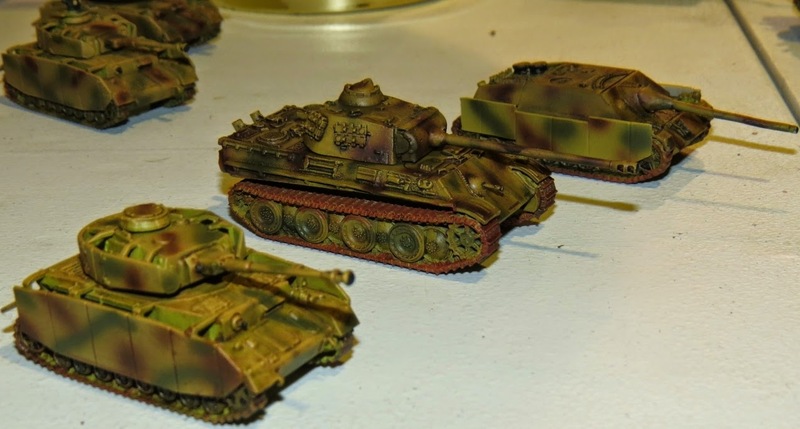 Panzer IV, Panther G and a Panzer IV/70 all looking sharp with the new paint! Once they have been drybrushed and a few of the tools on the tanks have been touched up, I'll likely get the tracks done and they are ready! Changing out the paint color in my airbrush is now a relatively quick process and doesn't take as long as it used to. I try and do one color on all the models all at once and then move on quickly to ensure they dry and are ready for touch ups if required. A detailed closeup of the Battlefront Panther. 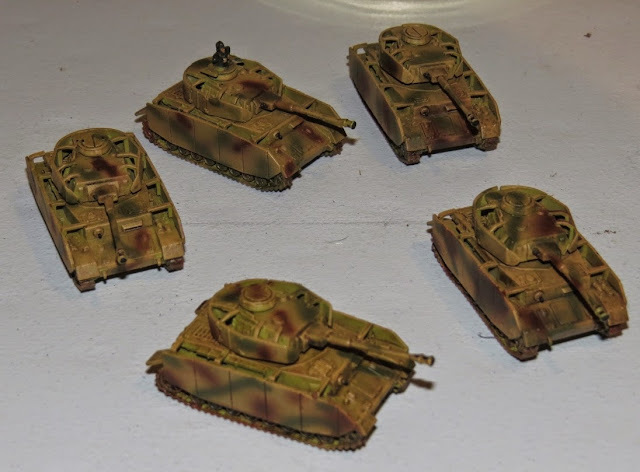 These tanks go together very easily and if you play Germans, you need to get some of these. Hoping the whole platoon turns out and looks the same as this once I am finished. It's always tough doing one tank and then coming back months later and trying to play catch-up.